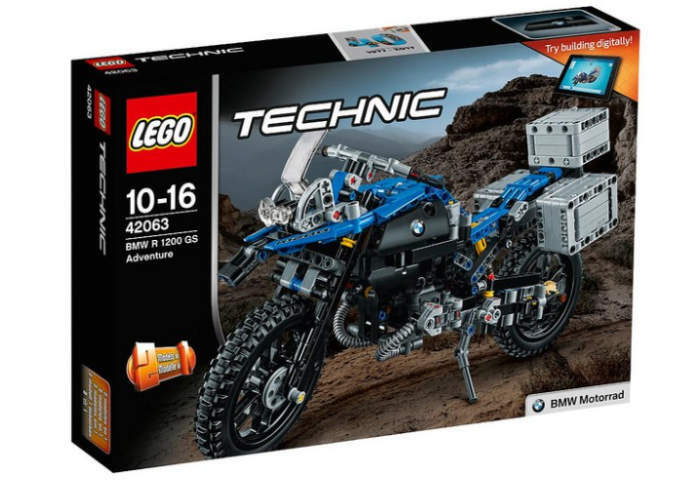 LEGO has this week announced a new addition to their range of Technic LEGO kits with the unveiling of the LEGO Technic BMW R 1200 GS Adventure Motorcycle pictured above. The new LEGO kit has been created in partnership with BMW Motorrad (BMW’s motorcycle brand) and takes the form off a 603 piece build, which stands 18 cm high, 33 cm long and 10 cm wide. The set will include a special commemorative Technic piece to celebrated LEGO Technic’s 40th anniversary in 2017, and will be available on January 1st, 2017 although no pricing has been announced by LEGO at the current time. But as soon as more information is made available we will keep you updated as always. The BMW Motorrad best-seller will now find its way into the homes of motorcycling enthusiasts of all ages. The model set–consisting of 603 parts is the product of close collaboration between the LEGO Technic and BMW Motorrad design teams. Combining innovative design with the art of engineering, it is the first ever LEGO Technic model to be produced in cooperation with a motorcycle manufacturer. 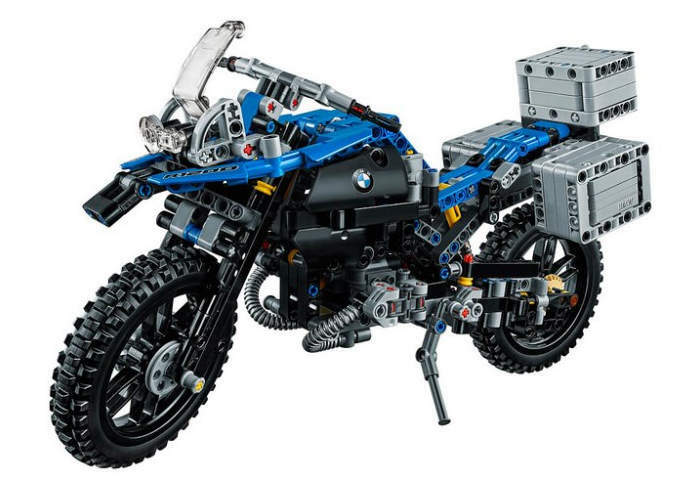 The LEGO Technic BMW R 1200 GS Adventure is designed to be as faithful as possible. The characteristic lines of the motorcycle–the so-called flyline–moving handlebars and even an adjustable windshield recreate the original in miniature along with numerous technical details. Enthusiasts will recognise the authentic BMW Telelever front wheel suspension and the shaft drive as well as the moving BMW Motorrad 2-cylinder boxer engine, which are set in motion as soon as the motorcycle is moved. Even the black spoke wheels with studded tyres resemble those of the model’s real counterpart. Thanks to the many details, the set is not only realistic but also fun and challenging to build. The proportions of the R 1200 GS Adventure have been recreated outstandingly well in the LEGO Technic model. We are excited to see how LEGO Design has reproduced so many visual and technical details of the R 1200 GS Adventure. The close and creative cooperation between the two design teams was particularly impressive–it went beyond a conventional licensing agreement”, says Alexander Buckan, Head of BMW Motorrad Vehicle Design.